The team says their approach could easily be adapted to look at other molecules that are important for health and disease. Researchers say the new technology could help detect tiny changes in cells’ eating habits inside the body’s tissues, making it easier to spot diseases sooner. The study, published in the journal Angewandte Chemie, was funded by Medical Research Scotland, the Biotechnology and Biological Sciences Research Council and the European Research Council. The Royal Society and the Wellcome Trust also provided funding. 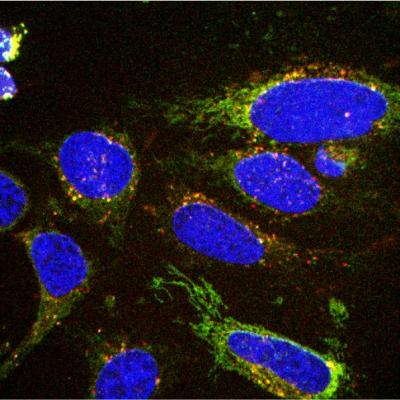 Dr Marc Vendrell, Senior Lecturer in Biomedical Imaging at the University of Edinburgh, said: “We have very few methods to measure what cells eat to produce energy, which is what we know as cell metabolism. Our technology allows us to detect multiple metabolites simultaneously and in live cells, by simply using microscopes.